❝ The officer stands calmly as a group of white supremacists act out behind him. One man’s outstretched right arm signals a Nazi salute. Another wears a red hood. A third rests a Confederate flag on his shoulder. Nice job of journalistic research. Even better job by the Black cop standing up for Constitutional principles – protecting the scum of the Earth from retribution outside the law. Doing his job. ❝ The U.S. Supreme Court threw out a challenge to a judge-drawn voting map that might help Democrats pick up a seat from Virginia in the U.S. House. The unanimous ruling Monday said the state’s Republican congressional delegation couldn’t press an appeal seeking to reinstate an earlier map drawn by the state legislature. That map helped Republicans capture eight of Virginia’s 11 U.S. congressional districts in the 2012 and 2014 elections. In ordering the new map, a lower court said race played too much of a role when the legislature drew the boundaries for the 3rd District, held by Democratic Representative Bobby Scott. Mapmakers consolidated black, mostly Democratic voters into Scott’s district so that it stretched from north of Richmond southeast to Norfolk, about 100 miles away. That improved Republican prospects in neighboring districts. ❝ Virginia’s Democratic Attorney General Mark Herring didn’t appeal that ruling, but the state’s Republican representatives took the matter to the Supreme Court. ❝ The case is part of the fallout from a 2013 Supreme Court ruling that invalidated a key part of the Voting Rights Act. The ruling undercut the requirement that all or parts of 15 states get federal approval before changing their voting rules. Those fifteen states have a record of bigotry, a history of preventing minority voters from having a voice. In states like Virginia, Republicans have added an additional chunk of cowardice, fear of democracy, trying to keep young people – especially college students – from voting. 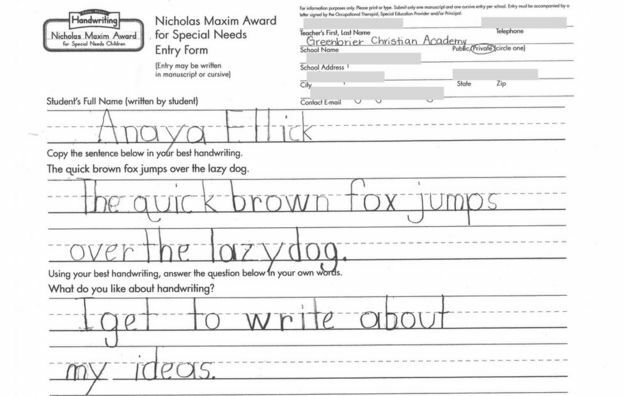 ❝ A seven-year-old student born without hands has won a US national handwriting contest. ❝ Her principal, Tracy Cox from Greenbrier Christian Academy, describes her as an “inspiration”. “She does not let anything get in the way of doing what she has set out to do,” says Ms Cox. ❝Schools in Augusta County in Virginia were closed Friday and a weekend holiday concert and athletic events were canceled amid an angry backlash about a school lesson involving the Islamic faith. ❝Officials said they had not received any specific threats but were alarmed by the volume and tone of the complaints, including some from outside Virginia…In response, additional police were stationed at county schools Thursday. ❝Anger over the lesson has escalated since a teacher at Riverheads high school had students in her class complete an assignment one week ago. It involved practicing calligraphy and writing a statement in Arabic. ❝School officials said the aim of the lesson was to illustrate the complexity of the written Arabic language, not to promote any religious system. In a statement, district officials said they will use a different example of Arabic in future classes. The assignment was given by Cheryl LaPorte, a longtime teacher at Augusta County Schools, in a World Geography class at the high school. In the course of learning about different regions around the world, the Staunton News Leader reports, students also study the regions’ culture, which includes its predominant religions. I have this problem with devotees of religion as a component of patriotism. Using mythic ideology to justify bigotry and ignorance is not an excuse for shutting down education. The fools who forced this are as much of an embarrassment to Americans as individuals as it is to the whole nation. Anesthesiologist trash-talks sedated patient — $500K worth! Because he was going to be fully anesthetized, the man decided to turn on his cellphone’s audio recorder before the procedure so it would capture the doctor’s post-operation instructions, the suit states. But the man’s phone, in his pants, was placed beneath him under the operating table and inadvertently recorded the audio of the entire procedure, court records show. The doctors’ attorneys argued that the recording was illegal, but the man’s attorneys noted that Virginia is a “one-party consent” state, meaning that only one person involved in a conversation need agree to the recording. Stupid 101. Testimony included expert opinion that anesthesiologists should be aware that any patient might not be in a deep sleep and might recall hearing silly, irrelevant remarks. Catching the whole procedure as an audio recording was a plus that locked everything up for the lawsuit. Wednesday’s fire is the latest in a series involving trains carrying crude oil as the nation’s drilling boom fuels a surge in oil transportation. Fearful of seeing similar accidents in their own jurisdictions, some officials have called for tougher safety regulations for freight train operators. A significant portion of the oil-carrying rolling stock on US railroads is about as out-of-date as the ideology of politicians who fight 24/7 against modernizing our railroad system. I’m not certain why they hate railroads so much. They certainly don’t give a damn about people killed or the pollution of environments around North America as a result of their idjit mentality. Not that the owners of railway companies are spending much – yet – on updating the ancient tankers they’re using to haul boomtown oil from the Dakotas and elsewhere. A pregnant woman is just a “host” for a fetus, according to Virginia state Sen. Steve Martin. 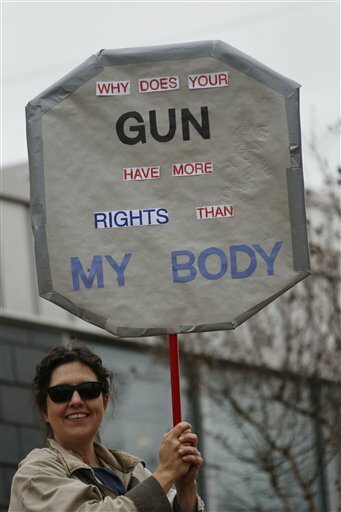 The Republican legislator representing Virginia’s 11th district made the comment in response to a Valentine’s Day card from a reproductive rights group calling on him to protect reproductive health options in the state. Martin’s claim that he does not “expect to be in the room” or “do anything to prevent you from obtaining a contraceptive” is, of course, entirely disingenuous. He is a vocal opponent of the Affordable Care Act and the Medicaid expansion, which would ensure affordable access to healthcare and contraception for people across Virginia. It should probably go without saying, too, that Martin does not support abortion rights. The creep has edited his post since everything blew up and he realized that average folks aren’t as willing to join the Republican war on Women as are his acolytes in the anti-abortion movement. Fortunately, plenty of folks on the Left have screengrabs and are using them to reference what he originally said. 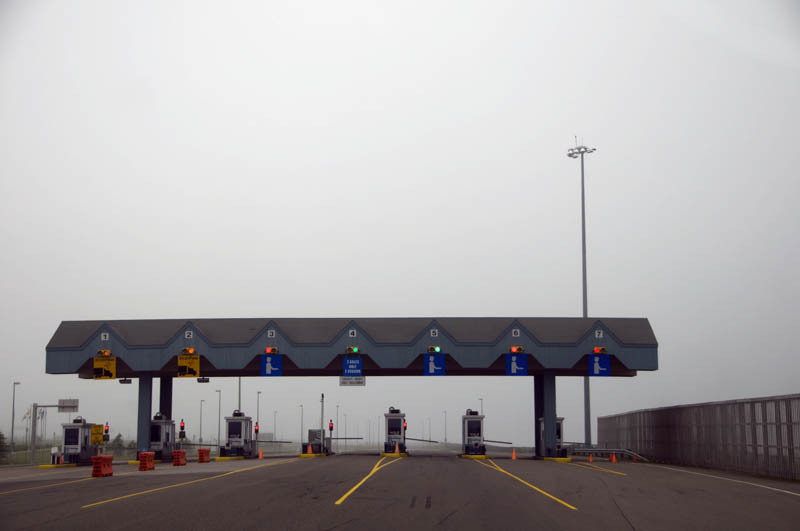 Jason Bourcier, a 33-year-old financial consultant from Arlington, Va., racked up $202,000 in toll fines that he’s agreed to pay in installments until he’s 87. Bourcier has been doing this for over three years and will pay $150 monthly installments over the next 54 years to the Virginia Department of Transportation, after his lawyers made an agreement. Taking the word of the dude working the toll plaza. That’s the sum of research he did before breaking the law? And he’s a financial consultant? Phew! The governor has acknowledged that he stayed at the Roanoke, Virginia, home of the campaign donor, Jonnie Williams, and drove Williams’ Ferrari sports car back to Richmond. You have to love Republican family values – as practiced. The same hypocrites who prate all through election cycles about honesty and old-fashioned virtue – once they get into office the regal greed they foreswear takes priority in every aspect of their lives.